Last spring, we were packing for a six week trip to Europe. Three days before the trip, our son announced that is shoes felt tight. Since a shoe shopping trip was not in the cards, I hopped on the internet to buy new shoes. (thank heavens for Amazon Prime with free 2-day shipping!) Not knowing whether he’d gone up 1/2 size or a 1 1/2 sizes, this handy little sizing demo from About.com saved the day. 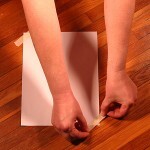 Tape the paper to the floor. Have your child stand with his foot firmly on the paper, and leg bent slightly forward so that the shin is slightly in front of the ankle. Trace the outline of his foot and remember to measure without shoes, but with socks similar to the ones he’ll be wearing with the shoes you are buying. Hold the pencil or pen upright and perpendicular to the paper. Do not hold it at an angle. 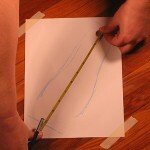 Make sure the pencil is resting snugly against the foot as you draw around it. Be sure to hold the measuring tape straight, and find the closest mark that you can (for inches, use the closest 16th mark) – don’t round up or down dramatically. 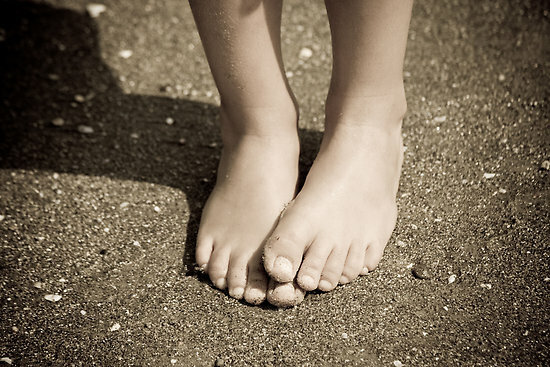 Repeat these steps for your child’s other foot, and use the larger of the two. After you have your numbers written down, you’ll want to subtract 3/16 of an inch from the numbers. 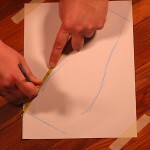 This is to accommodate for the slight space between the actual foot and the line made by the pencil. These final numbers are your child’s actual foot measurements, you can convert them to the appropriate size using the links below. This could come in handy. Thanks for sharing!